To learn manual car driving at its best, we charge reasonably at £27 Per Hour only !! Learn automatic car driving - £28 Per Hour only !! 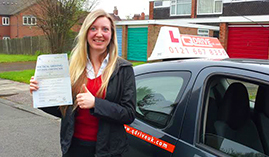 Here at My Driving Lessons, you may choose from our broad series of Driving Courses that let you to not compromise on learning car driving in Peterborough. 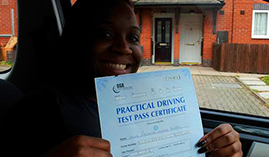 Beginning from a small 2-3 day course for individuals who are almost test ready or a longer 5-6 day course for those who are totally fresher to driving, our driving courses make us the most excellent car driving school. We consider our courses to go well with all capabilities and the permissible ages. So you may rely on us to help you in learning car driving efficiently. 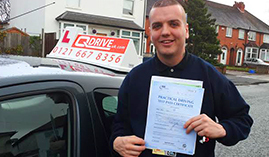 With a choice of reliable and experienced instructors to choose from, we are second to none in letting you pass your driving tests capable. 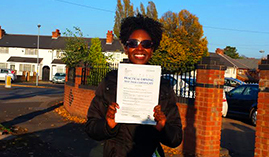 At My Driving Lessons, we make sure that you pass your test in a few months! 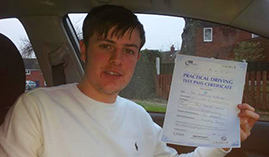 We place your driving test, theory test, and driving lessons. You may begin your driving lessons 1 week before your driving test or spread them out above a period of time leading up to the Driving Test. We have 3 types of driving crash course to pick from. The one that is right for you will rely on how many lessons you need. 3 week driving course in Peterborough: This is suitable for those who have previously had driving lessons and who wish to restart lessons after a gap of around 5-6 months. 4 Week driving course in Peterborough: The course is suitable for those who have reasonable car control and some basic training on the maneuvers, and brush up on their road skills. 5 Day driving course in Peterborough: Consider that this stands for those who are near test standard, or have failed a recent driving test within 3 months. For this course, you should be able to show a high altitude of road sense and car control, and enable to perform all maneuvers without help. 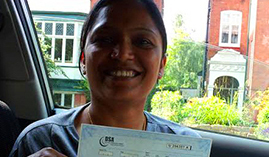 A crash course is not suited for everyone, but some people prefer it as a much more relaxed approach to learn driving. 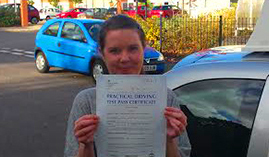 Besides our crash course, we offer both automatic and manual driving courses in Peterborough in our new fleet of cars. We provide our accelerated learning programs across both types of programs and adapt our lessons to suit drivers at dissimilar levels of skills.